Hepworth facilities located in Dubai Industrial Park (DIP) has been converted into a solar carport that harnesses energy from the sun while saving more than 70 metric tonnes of carbon dioxide from entering the atmosphere, equivalent to 280,000km driven by a passenger vehicle for a year. SirajPower, a leading provider of solar roof plants offering both construction and financing solutions under one umbrella, installed the solar panels and launched the green carport on Monday. 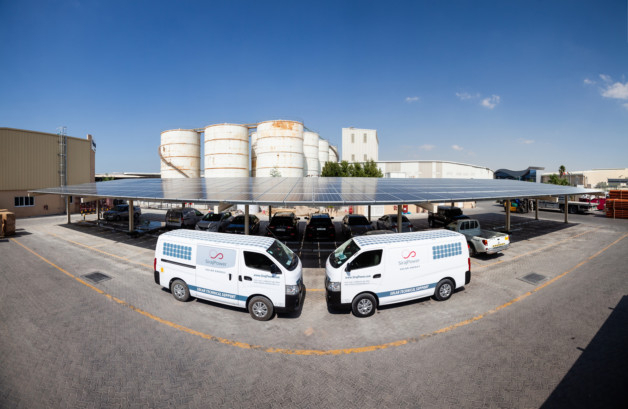 Last year, DEWA has commissioned a solar carport project that has been rolled out at its headquarters and at the UAE Ministry of Climate Change and Environment (MOCCE) building.